"I am very proud of the fact that my Shamrock´s in Dresden has been picked as the top 10 in the Irish Global Best Irish Whiskey Bar of Europe. 25, 000 people randomly voted and out of about 25,000 Irish bars, Shamrock is in the top 10. I visit Ireland on October 9 to find out which one of us wins. I am very excited to be a part of that. I hope we win. Shamrock is pretty great given the fact that I have sometimes as many as about 65 Irish Whiskeys to choose from here, a whiskey taste of 6 whiskeys in 3 hours with a break of Irish food that we host in the cellar of my second Irish Bar in Dresden, the Irish Fiddler, and 8 monthly whiskey specials here." says Derek proudly, as he should be. I thought it a great fun real Irish bar, where you know, people talk, eat great Irish Food and drink Guinness. "Every year I host the ST. Patrick Day´s Boat Party of about 350 people and we have a lovely party. We haven´t lost anybody yet, although maybe we have and we just don´t know it," laughs Derek as he shows me the pictures. "One cool thing about the bar is that we have been given a nominee for the best Irish Whiskey Entertainment Bar of Europe, too. 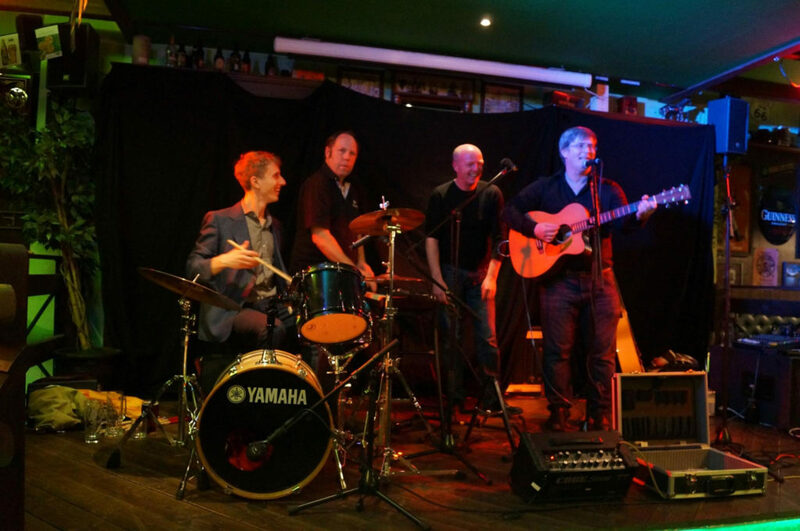 Make sure you mention that since we have the live music bands. Which is one of the reasons that we don´t have the Whiskey tastes here. You need about 3 hours to taste and learn about 6 whiskeys and you wouldn´t be able to hear yourself talk above the band!" "Here you can see Derek Standing behind the drums. Obviously a musician himself!" "The Shamrock is located at Wilsdruffer Straße 20, while the Irish Fiddler is at Alaunstraße 62. Both busy and both totally authentic Irish. You will have a great time at either." says Derek. And for the whiskey affciandos..."You know whiskeys have to be aged at least 3 years and up to 18 years is about when they taste the best. If you age after that in the barrel, since the barrel can only be used once, the whiskey´s quality and taste, in my opinion starts to take a nose dive. I have tasted whiskeys that are 500.00 euros and 5.00 euros. It depends on the whiskey, the blend and the aging as to how expensive or inexpensive a whiskey is." says Derek. His favorite Johnny Walker? "The green of course. It is beautiful and rich. Love it." I meet Derek´s wife Silke and daughter, Caroline, while we chat at the bar about his great achievements of being in the top 10 of the Irish Whiskey Pub awards for Europe and they are fun and charming. His wife, Silke has sleek coiffed grey hair, "It is 100% natural and everybody loves it and goes to the salon to color it that way!" Cool! 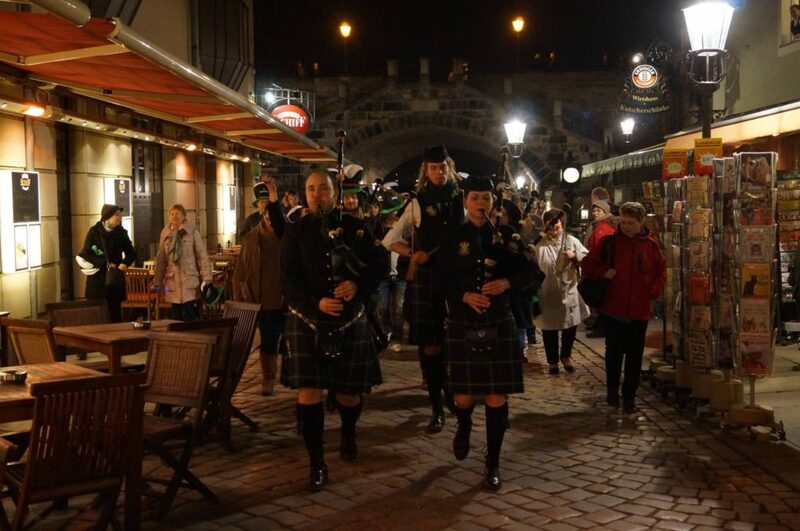 And of course we have Irish Whiskeys and Scottish Whiskeys and here is the world famous bagpipers from Scotland celebrating on St. Patrick´s day! "Derek is a great boss, yet he has one rule, When he hires people at the Pubs, texting on phones while guests are persent is unallowed and no phones behind the bar. He wants his team to have fun and give service to the guests. That is why he hires his team. "Says one of his very friendly wait staff. 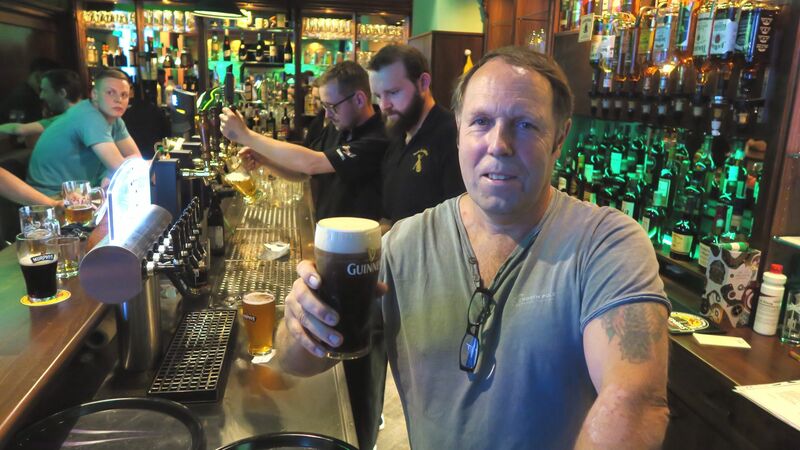 The Irish Fiddler is a warm and comfortable Irish Pub, and the owner, Derek sure loves Guinness! "Whiskey, the most and I am looking forward to tripping around Ireland and visiting every distillery that I can in October since it is a vacation of a lifetime combined with my attending the awards ceremony for the Irish Whiskey Pubs. Let´s hope that I win!" he says. Yes, let´s and people from all around the world shall visit Dresden to see Derek and his famous Irish Pubs! "Alright, let´s talk about my starting of my restaurant empire, as you named it," is the first chat at 9:00am in the morning today at Dresden´s chic outdoor garden restaurant, Rauschenbach on Weiße Gasse 2, the Historical section of the city, with the young 47 year old entreprenuer, Ralph Krause. "Rauschenbach has brunch, we have international breakfasts, we have business lunches and dinner specials with fun surprises from my cook. I have a American Director and a Canadian Chief in the kitchen. My main cook is German and I have internationals that only speak their language and my cook only wants to speak German and sometimes that is a problem in the kitchen!" he says laughing. "I was in university in 1995, and asked my mom and dad if they would loan me the money to open the 80 seating University bar named Paul Rackwitz. That is the name of a Dresden person whose name was etched in the building, and we named it that!" he says laughing. I am not even sure if he was a famous person or not!" Ralph is dressed casually in shorts and laughs easily. "That bar lasted 20 years and maybe is the reason that I spent 10 years in college because of the beer. It was either beer or studying and I usually chose the beer," he says. "The university bar closed this year because it is only a 20 year lease, yet never fear, we reopened a new Garden Restaurant in the famous gardens of Dresden and we named it, Rackwitz Neue Welt which means Rackwitz the new style. It is my baby and my favorite one and I am most excited to see it open late September. It is a outside garden restaurant that is of course only open in the summer, yet we wanted to show it to the world and to Dresden. We took all of the chairs and the decorations that the University Bar had the last 20 years and remade the restaurant. The hope is all the college students who came to the University bar the last 20 years come to revisit Rackwitz Garden!" he says. "Rauschenbach is a International Cafe and when we opened it in a little before 2004, we wanted to make it the name of something warm, and we painted the walls yellow. That way people can feel comfortable when they eat cosmopolitan food such as a Paris Texas Burger, Pancakes from America, Asian Thai Soup, Asian Noodles in Curry, Pasta with Avocado Pesto,and BBQ Pineapple Baked Chicken Sandwich, to name a couple of the cool exotic dishes. We try a little from every region of the world. When we opened here, we had already been successful and had become known as being innovative and introducing new cultures and food cultures from around the world, and the Germans became curious with my next venture. We have fun with the places and we have fun trying new foods." "The Rauschenbach has such great items as Big American milkshakes, and our cocktails at night are very good, too. It is a restaurant that seats about 150 people inside and 150 people outside and I would encourage more young people to come try. Now, they love the Blumenau and the Grill Kollektiv more." "The one bar that didn´t do so good was named the Aqualounge. We had 40 seats and one DJ and we had to pay the DJ everynight and the DJ made out pretty good, but everybody else didn´t" he says laughing. https://www.facebook.com/blumenau.cafe.bar.restaurant/ As we sipped coffee, he says, "Do you know I went to California, San Francisco, and the coast in 1997 and everybody in California drinks coffee. It is my first introduction to that culture and as a German it is very foreign to me." he says. "I came back to Germany and opened Blumenau, which is located on Louisenstraße 67(the new bohemian side of the river, opposite the historical side), and the Germans love that cafe. It, too has 80 seats." "They have a cool bar and cool drinks and cool breakfast," says one tourist as to why they love the Blumenau. "Its the American Coffee culture and the gourment coffees that the Germans find intriguing." says Ralph. "My favorite restaurant where my wife and I love to dine is the French inspired restaurant that I have in the Theater, which only has 30 table seatings, named LÁrt De Vie at An der Dreikonigskirche 1a. It is romantic and cozy and it has great French wines. The food now, I would say is more Mediterranean. A mixture of Mediterranean and French. It is funny because my food is actually Italian a good pasta. We used to have a Italian restaurant, a tiny one, yet we couldn´t compete with two big Italian restaurants next to us, side by side, so we opened the Gourmet Burger Restaurant the last 1 and 1/2 years, named Grill Kollektiv, which we can talk about later." he says. "My newest one, is the Rackwitz Neue Welt, as I said, yet the baby is Grill Kollektiv Burgers." "At Burger Grill Kollektiv, we have innovative and fun burgers. Vegan Burgers, Sweet Potato Fries, Real Ones, Carrot Fries, Big Huge Burgers, and Curry. 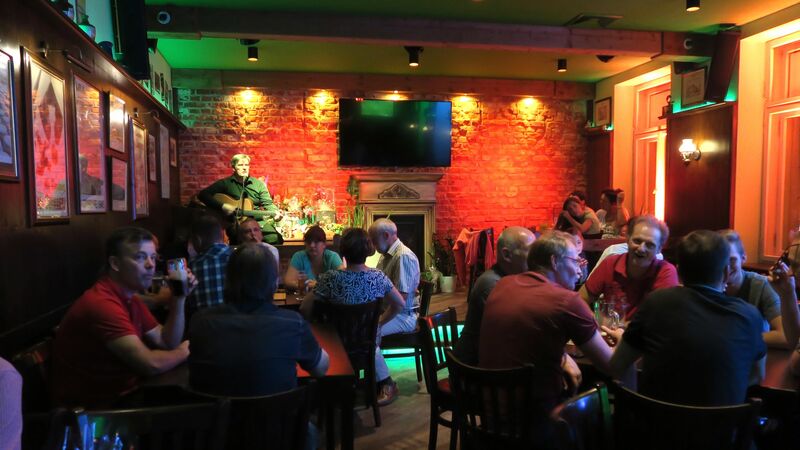 It is decorated avant-garde and like a tiki bar and everybody that loves the Gourmet Burgers that you can usually only find in the alternative section of the city, opposite side of the bridge in New Town, can come here. Some of the swanky and young professionals of Dresden say they don´t want to venture to the bohemian side and now they say they love they can find a Bohemian type place and burger here in the Historical side of Dresden. That is essentially why we opened it and it is one of my funnest restaurants. My counter director you met yesterday. He is German of course. Yet he has a Italian name. He talks little, he is very shy and it is funny that he is responsible to tell the people about the Burger Kollektiv since if you don´t ask him questions, he doesn´t tell you!" "That one is located next door to us here at Rauschenbach, at KREUZSTRASSE 3." "People call and ask if they can reserve tables and we let everybody know that you can. If it is a large group perhaps you have to add a little deposit if some don't show up. Just let us know a day or two ahead of time, please, as the other people should have a chance to enjoy the night with partying too!" says Thomas. "I love the fact that Barnebys makes people have real conversations with each other. Maybe the tourists FIND US using the texts on iphones, yet once they come in here, they play the games, which Barnebys is famous for, and they put their phones away. I love the concept of a gaming bar since it makes people have a social interaction with one another and since other people come and are curious a lot of times the people start playing games with each other and they start making friends. That is why I love it and the guests love it." says the very smart and funny Capo, Thomas, pictured here making those great drinks! And GREAT GAMES! "The bed and breakfast is actually 59 square meters and it includes a kitchen and living room, bedroom and beds to fit up to 5 people and washer and dryer. It is great for couples, or familys. They can call my number to reserve at 00493 51 3393 956, and if they let me know a day or two ahead of time, it is better." says Thomas. I stayed in the apartment in 2016 and absolutely loved it. Total fun. And if you are a young couple, it is great to run downstairs and have some game fun and back to bed! "The games are a way to interact and have fun, yet of course we have a fun and friendly team and we make great cocktails, too, which is the reason you usually go out to a bar, right? The games are a added plus where you can be yourself." says Thomas. 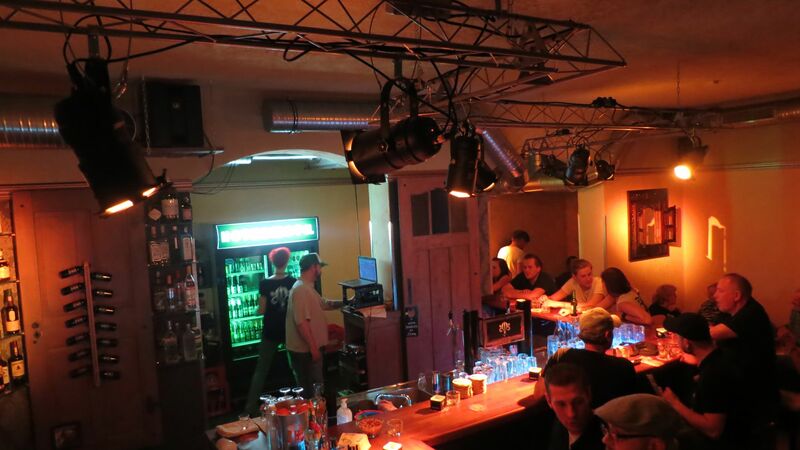 The casual entertaining bar is at Gorlitzer Straße 11. "We now have over 400 board games or cards and dice games, for instance and if you know of a game we don't have let us know or donate it!" laughs Thomas. mahl2 Restaurant and Catering, Dresden Germany The upscale trendy Mahl 2 with the cool Mr. Mueller and Mr. Mueller as the creative chefs...they are very nice, at least Robert Mueller is, I didn't really meet Constantine since he is away from the restaurant; however, Robert is a nice sincere person who is the chef genius behind the duo. event we had catered," is impossibly special. are happy you walked into the restaurant! "I am the chef in the kitchen and I do the menu every 2 months and Constantine is out with the public, which he loves, and he does all the drinking stuff! His family is in the Wine Dealer and Liquor Business and we order all of our wine that we serve at the restaurant from Constantine's family. That is a huge help for us. The first couple of months that we opened in February, 2016 we were full every night. It was crazy. And we were so busy that we couldn't keep up. Every night. That made us feel great. I think it is because for 6 years we had the catering business and built up a reputation. Now at about 8:00pm it is full and gets crazy in here!" says Robert smiling. ALWAYS SMILING! 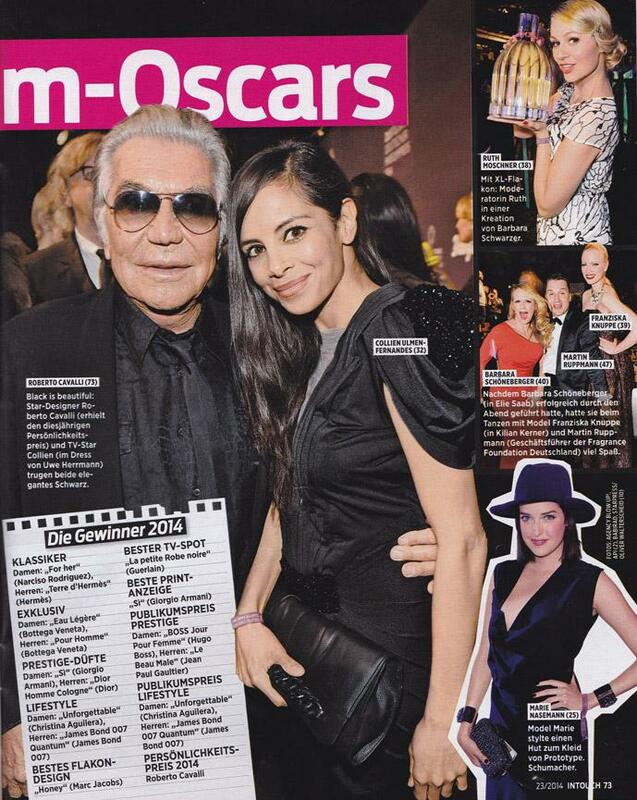 "I worked 20 years around Dresden in famous bars such as Katy's Garage and it was really really fun. However, when I opened the bar here, my very own, the day I knew it is mine is I walked behind the bar one night and took my shoes off...I stopped! and said, O it is mine." says Nancy. "I am most proud of the fact that we came in here and for 7 days we stripped the entire walls and we had it all open and I stood and said, okay, I want a big bar here with a lot of corners so that when people come in little groups such as 4 people, they can sit around the corner bars and talk to each other. When I go out to a bar I love to sit at the bar and talk to people and most of my friends own and work at bars. I want a social bar and a big bar with lots of seats. That is where I based my concept of the bar at. My father hand-built it and he built the doors on the walls that have liquor bottles on them and he made the fun bowling game for people to play. He loves to work with wood and he is amazing. The entire bar is a creative vision of mine, my father, and my friends." Says Nancy. Doreen, her barkeep for 3 years and best friend says, "Why do I love the artsy independant side of the river, here? Because it is a mix of people and cultures and honestly if you talk to people every person is of interest and they give me something new. Each person makes me think about what they say and each person changes my thoughts and ideas. That is what the atmosphere here is all about." she says. "You know when I opened it in the winter is busy, yet in the summer I only have 3 outside tables and everybody in their right mind wants outside tables. I have the opened french doors and that helps people to mingle. However, I found a very talented musician named, Ju von Dölzschen https://www.facebook.com/Ju-von-D%C3%B6lzschen-1662995487285119/, and he loops different instruments and plays a one man band with amazing music. You should come hear him some night." she says. At least we know that the people had a lovely night at the HoteldeBotel! 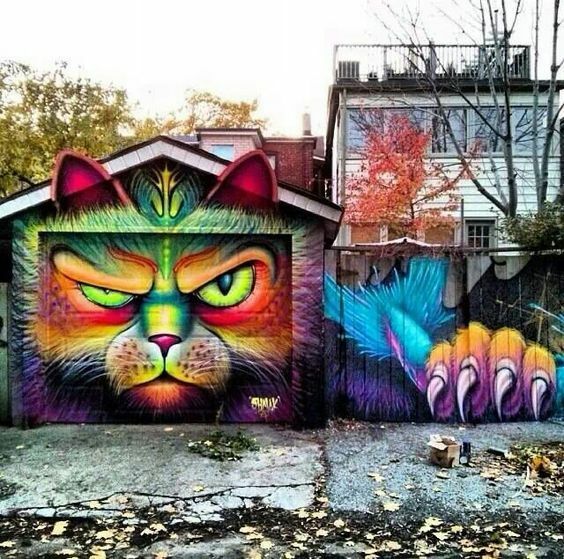 "I love Graffiti Art and have been a artist since the last 12 years. About maybe 5 to 6 years I have owned the store here. I have about 800 colors of graffiti spray paint that you can use. I have events and for instance at the very FAMOUS KATYS GARAGE you can buy spray paint here and paint your own design. Legally, at Katys Garage outside on the walls." says the shy Stephan. "I have sneakers, too. They're cool since people can buy any color they want." he says. I say that or they can just paint them the color they want! He laughs. "Yes or they can paint their bike green!" "Graffiti Art is its own culture. It started in New York, and my favorite artist is "Seen" from New York, and it came to West Germany in the 1980s and the East Germany in the 1990s. I guess people like it since it is fun. It is a artist's way of expression. I have books on Train Graffiti in Europe. No spraying trains isn't legal, yet they are pretty cool ones in the book" he laughs. "There are many venues around the world where you can express yourself with graffiti art and that is why you should come to buy the paint and have fun!" "Since anybody can spray and do the Graffiti Art in Dresden at Katy's Garage, I think it would be a cool challenge for people to have fun with. On my site is a cartoon train and you can paint on the internet the train!" he says. Now that is funny! It is a little like the Cia(Central Intelligence Agencys) Children's site for games where you can dress a spy!